The Strokes // Angles press release? I’m not sure exactly what this is, but, it seems like some sore of press release. Isn’t it glorious!? Lookin’ good right?! As stated on Rough Trade, “Under Cover Of Darkness” will be the first single bestowed upon us, but no word was given on when that single will drop. Hopefully very very soon. Oh, geez. So excited. Cue Le Tigre! 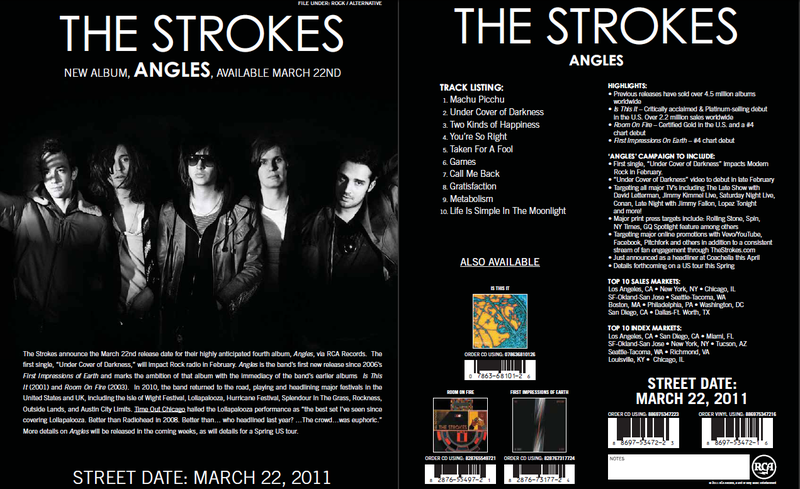 (UPDATE: No more than a minute after I posted this, The Strokes put up a new mini-site for information regarding Angles. To sum it up, “Under Cover Of Darkness” will be heard on the radio starting February (that’s only a few days away!) and more Spring tour dates will also soon be announced. 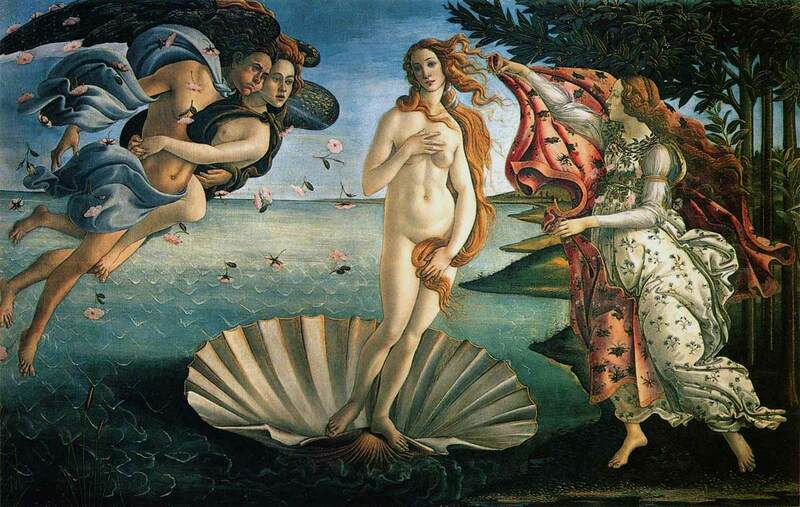 Check out the mini-site, here.) Still cue Le Tigre, cause I’m so excited! I’m sure everyone – or at least the core Strokes fans – dusted off the demos and rarities in the dry spell of Strokes material: “In Her Prime” is such a nice little gem. My favorite Frenchman Sébastien Tellier has announced, in video form, that he is indeed working on a new album. Watch the video below. 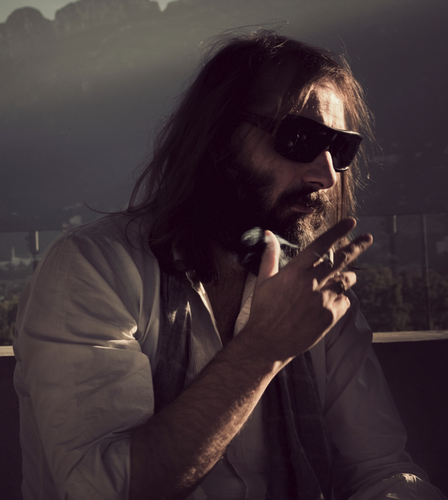 Furthermore, Sébastien Tellier has joined the ranks of Twitter. Nice. Sébastien Tellier has been dubbed the new Serge Gainsbourg and if you have not checked him or his music out yet, well, you don’t know what you’re missing. I love astronomy! As a third grader that’s what I wanted to be. Things change, but I am still quite obsessed with space. Tonight, January 29, 2010, marks the first full moon of 2010. If you remember the last full moon was a blue one on New Year’s Eve. This full moon is not only the first of the year but it also going to be the biggest (14% wider) and brightest (30% brighter), as the moon is in its perigee. The beauty of celestial objects is something I think modern human beings generally take for granted. 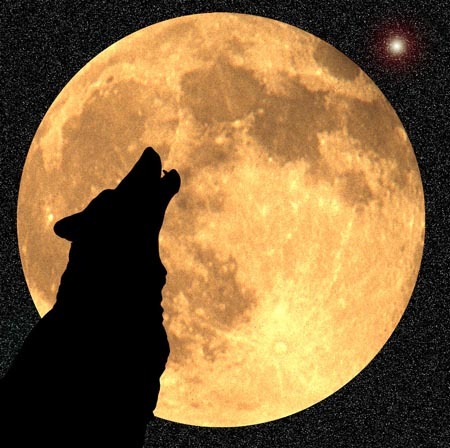 Enjoy the full moon tonight!